Starting September 4-6, 2009, Southeast Asian Airlines will offer a “Buy 1, Take 1” Batanes roundtrip promo and almost 75% off on Boracay roundtrip tickets at the 20th Philippine Travel Mart (PTM) Grand Vacation Sale ng Bayan at the SM Megatrade Hall in SM Megamall. Philippine Travel Mart 2009 is the biggest travel, tourism and trade show in the country and is spearheaded by the Philippine Tour Operators Association (PHILTOA). By visiting the Philippines Biggest Travel Fair, you can purchase “Buy 1, Take 1” Batanes roundtrip tickets for only PhP 14,344, all in. You can also avail of Boracay discounted roundtrip tickets for only PhP 3,500, all in. All purchased SEAIR Travel and ticket will valid until October 15, 2009. Being the only airline flying in the Caticlan airport, SEAIR recently increased Caticlan flights to up to 27 per day and will step up to as many as 32 flights per day on October 15 and onwards. Starting from October 12, 2009 and onwards, SEAIR will be offering daily flights to Batanes to accomodate increasing demands. SEAIR is currently the only airline that flies directly to Basco, Batanes. The picturesque Batanes, located at the northernmost tip of the Philippines, is now becoming the next best year-round destination in the Philippines. 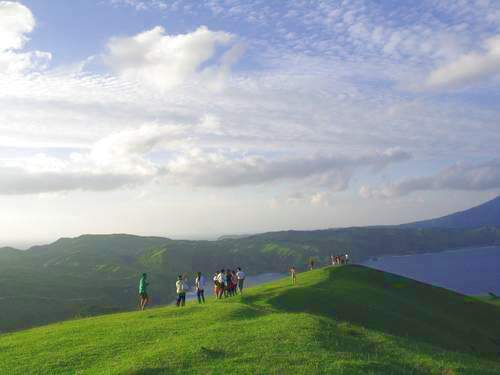 With green pastures overlooking the Pacific Ocean, windmills on the sprawling pastoral landscape and lighthouses guarding immaculate shorelines, Batanes has a rustic and distinct beauty similar to the idyllic European countryside. SEAIR is the nation’s second-oldest airline and has flown almost 3 million passengers to local destinations including El Nido, Puerto Princesa, Tablas (Romblon), Clark, Zamboanga, Jolo, and Tawi-tawi. The airline also offers flights from Boracay to Puerto Princesa, and Cebu to Caticlan. Fly SEAIR and rediscover the joy of flight – speed, convenience, personalized Service! Go to www.FlySeair.com for the best deals or call (+632) 8490100 for more information. I’ve never been to Boracay. But i have plans to go there for a week vacation. But as i read the article i was amazed to view at Batanes Island. I want to visit it first. Is there any suggestion for accomodations available in the island?